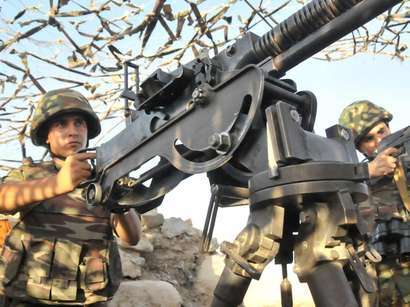 We need to interrupt the negotiations directed towards the implementation of the pretensions of Armenian aggression, and state that we will not allow the adoption or realization of any documents which are contrary to the will of the Azeri people, such opinion was voiced in the resolution of Karabakh Liberation Organization (KLO) disseminated on 30 October, Trend reports. 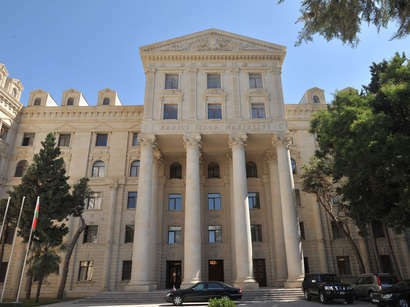 Furthermore, the resolution says that many sources confirm the information regarding the discussing of unfair principles linked with the destiny of occupied Azerbaijani territories during the negotiations between the Foreign Ministers of Azerbaijan and Armenia in Moscow and Paris and adopting these principles at the time of the meeting in Brussels. These negotiations focus on the territorial pretensions of Armenia, as well as pretension for part of Khojavend, Agdara and Goranboy districts of Azerbaijan, the issue of referendum and other issues not meeting the interests of Azerbaijan. The KLO feels that the mediator countries in the peaceful talks are functioning under the pressure of the Armenian lobby. We demand to immediately refuse the negotiations directed towards implementing the pretensions of Armenia, it was stated in the resolution.